In 1982, the world was introduced to He-Man and the Masters of the Universe. What followed was a cultural sensation that changed the landscape of children's entertainment forever! 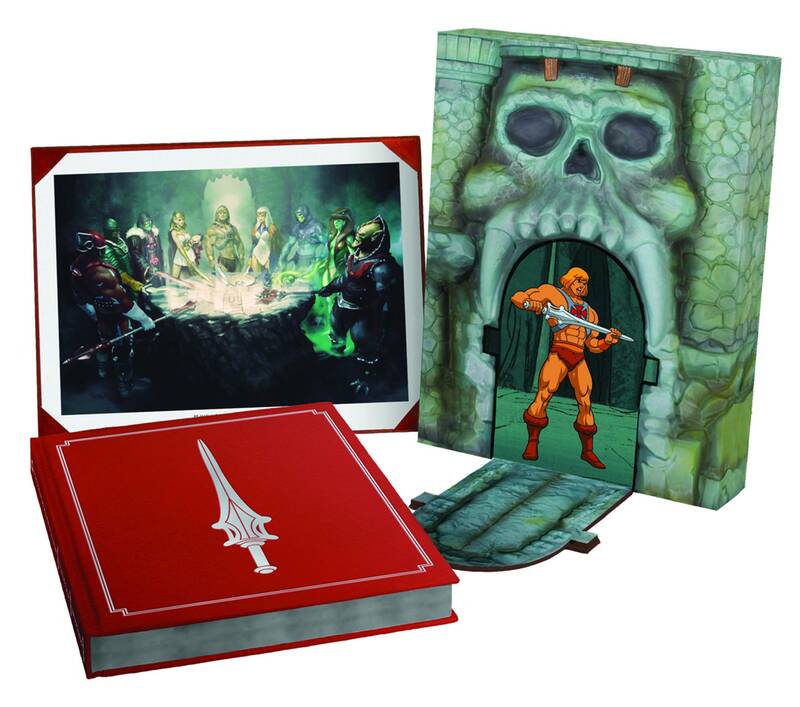 Join Mattel and Dark Horse in this comprehensive retrospective chronicling He-Man's decades-long epic journey from toy, to television, to film, to a true pop culture phenomenon! Features include beautifully restored art from master illustrator Earl Norem -- celebrated artist of the most memorable He-Man images -- interviews with Dolph Lundgren, Paul Dini, Erika Scheimer, and many more! The Art of He-Man and the Masters of the Universe Limited Edition comes packaged in a deluxe Castle Grayskull slipcase, with an exclusive foil embossed cover and portfolio print, coming in at just under 400 pages with commentary written by Tim & Steve Seeley. Limited to 4,000 total pieces (with 1,000 available through the direct market).